Aliens, Pirates & Cosmos Troopers There are 10 products. 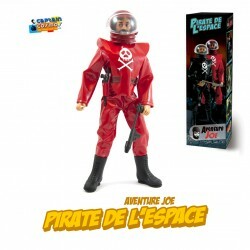 REISSUE Aventure Joe Space Pirate Red Commando outfit. 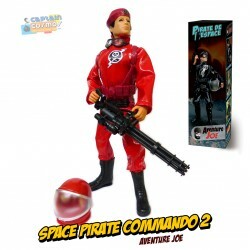 Contains :- Jumpsuit with Alien Joe stickers- Beret with badge- Glasses- Red pirate helmet- Webbing- Black belt with holster- Black laser gun- Minigun M134- Boots Sold with or withour figure (see below). 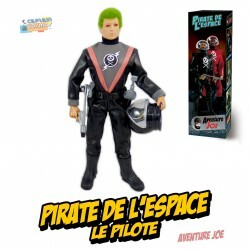 REISSUE Aventure Joe Space Pirate Commando outfit. 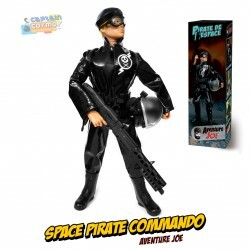 Contains :- Jumpsuit with Alien Joe stickers- Beret with badge- Glasses- Black pirate helmet- Black webbing- Black belt with holster- Black laser gun and sword- Machine Gun (color may vary from black to gray)- Boots Sold with or withour figure (see below). 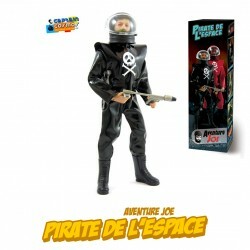 REISSUE Aventure Joe outfit by Captain Cosmos. 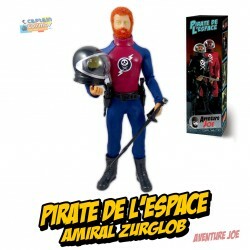 Contains :- Jumpsuit with stickers- Beret with badge- 2 laser handguns- Webbing- Boots (figure not included). 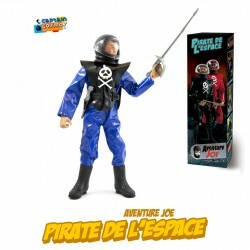 REISSUE Aventure Joe outfit by Captain Cosmos. 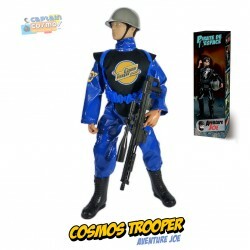 Contains :- Jumpsuit & apron with stickers- Silver helmet- Rifle- Webbing- Boots (figure not included). 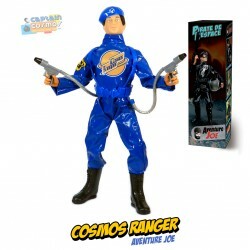 REISSUE Aventure Joe exclusive figurine, representing Baron Ironblood from Action Force range.Suit made by LoucoPorBonecos in Brazil.Geyperman Muscle Body figure, with customed head by Joe-White. Very limited edition. (Geyperman body, made in Spain by Hobbycrash, using 70s original moulds).